LittleBits is one of the best companies making coding and STEAM (science, tech, engineering, art and maths) kits for children to play and learn with. The company has just unveiled three new ones, and they look very fun indeed. I’m drawn to the Electronic Music Inventor Kit, because I’ve been messing about (occasionally my children too) with modular synthesizers recently. 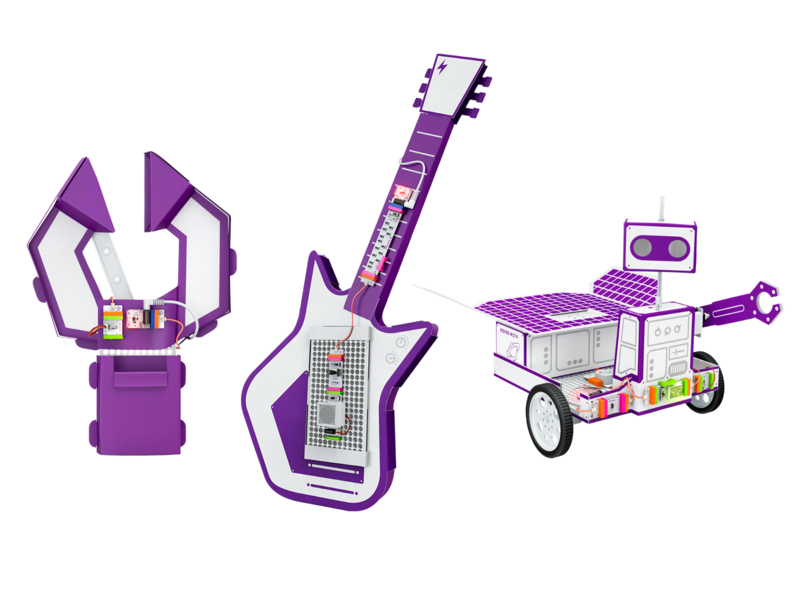 The kit presents kids with some of LittleBits’ ‘electronic building blocks’ and gets them to build a synth guitar — or as us grown-ups know it, a keytar — although they can also remake it into other instruments. Air drums are mentioned. This kit costs $99.99 in the US. The Base Inventor Kit might be better for children who aren’t so in to music: it’s a collection of ‘bits’ including a buzzer, latch, sound trigger, proximity sensor, slide dimmer and a mechanical arm (!) that children can connect up into all manner of inventions, aided (if they need inspiration) by a companion app. It also costs $99.99 in the US. Finally, there’s the Space Rover Inventor Kit for any children who’ve been fired up by the exploits of NASA’s Mars Exploration Rovers. It’s a kit for building a (thankfully miniature!) Space Rover, again with an app to control it and suggest fun ‘missions’ to undertake in and around the home. This kit is more expensive, at $199.99 in the US. All three kits are aimed at children aged eight and up, although in my experience with LittleBits kits, younger kids can also have fun with them, with help from a grown-up. For older children who prefer to figure it out for themselves, there’ll also be online video courses to help them.